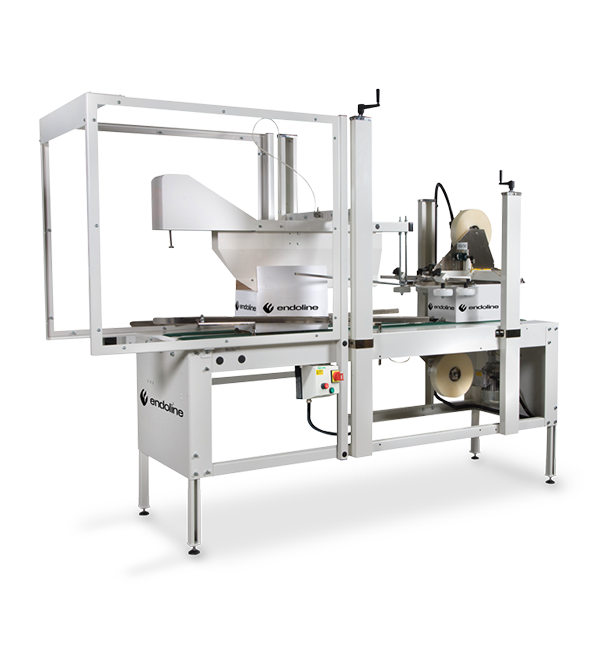 The Endoline type 702 is a fully automatic pre-set case sealer that seals cases with self-adhesive tape and does not require an operator. 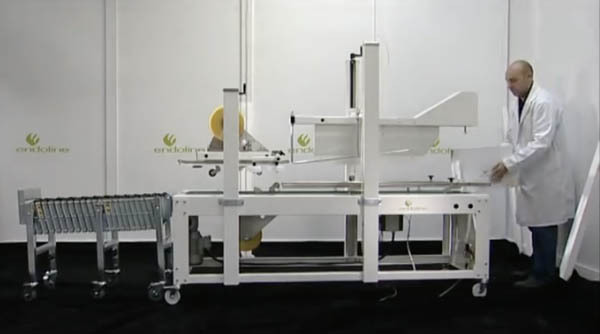 It is well-suited to long runs of the same case size and particularly for heavy cases such as those typically used in the produce industry. Endoline’s unique four column construction provides added stability and its robust chassis enables the machine to run 24 hours a day, 7 days a week with minimal down time. The tape units are instantly removable and interchangeable. The type 702 case taper can handle cases between 150-600mm length, 130-490mm width and 110-510mm height. Up to 25 cases per minute as standard.